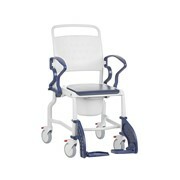 The C 385 provides maximum flexibility in patient care and comfort. It features sturdy no-rust construction, elevating legrest with adjustable, removable footrest and Broda's Comfort Tension Seating. 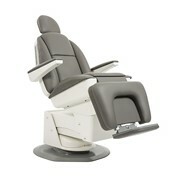 The C 385 also features removable arm rests for easy side transfers. 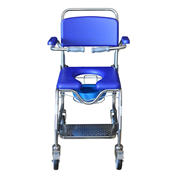 With up to 12 degee posterior tilt, and up to 67 degree recline, you have numerous positioning options to help control slumping and sliding, while maintaining your residents comfort and safety. 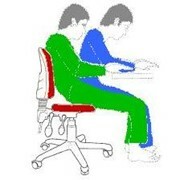 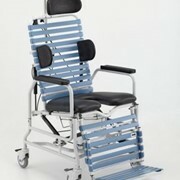 Up to 10 degree anterior tilt allows for ease of transferring the resident in and out of the chair. 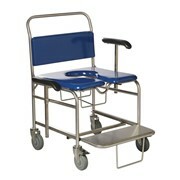 Easy to clean with vinyl strapping, powder coated stainless steel frame and plastic castors. 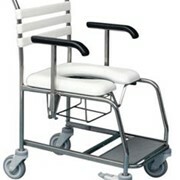 Castors are safe and waterproof - 3 total lock castors, 1 directional castor. 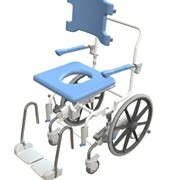 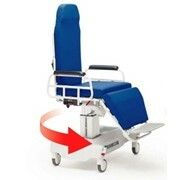 Infinite positioning options and easy maneuverability make this chair excellent for patient transport within a facility.